In many ways, this song is Roger Waters' first actual song on record. As noted in the first half of this review, both Let There Be More Light and Set the Controls for the Heart of the Sun are less songs than modal jams, loose skeletons that the band could expand upon live in concert. And his sole composition on Piper at the Gates of Dawn fits even more into that category, offering little more than a few stop-time lines before the band launches into a total freak-out. But Corporal Clegg offers up a fully arranged pop tune, complete with introduction, verse, pre-chorus, chorus and instrumental bridge and coda. Add to that Waters' first lyric about a World War II veteran having some seriously bad flashbacks to his war service accompanied by explosive sound effects and a marching kazoo battalion, and you've got the all of the ingredients of his last two albums with the Floyd over a decade later. And from there, it's off to a marching band comprised of kazoos - of which more later. A far more experimental track than anything they'd done before, for several reasons. First, with Barrett in the group, the band had more than enough song-oriented material to fill out a complete LP. Secondly, EMI was less open to releasing experimental electronic music from what they took to be a top-40 singles band, and Floyd early on was very much at the whim of their record label. However, on their second record, having filled out enough of the rest of the album with what producer Norman Smith regarded as more commercial material, the band was allowed 12 minutes for whatever they wanted to do. Smith had served as engineer for the Beatles and hoped to make his name as producer with the Floyd - so it's certainly understandable that he'd view the free-form approach to music with less enthusiasm. Even Gilmour - again, having come from an R&B cover band - wasn't prepared for the kind of atonal mood approach to music that this track represented. No wonder: for the first nine minutes, nothing happens that could be considered 'music' from any traditional point of view. The first section (of three) builds slowly, starting with a low rumble built from some very closely miked cymbals being stroked very gently with mallets. Wind chimes pan around, the Farfisa comes in with a wandering eerie feel, never settling into any traditional mode, and then more sound effects begin to tense the mood - strummed piano strings, clicks and electronic yelps, building to a crescendo that cuts to part two. Part two features much of the same background effects (now run backwards), but is run through with an insistent drum loop from Mason and some scary mic-stand leg slide from Gilmour, the only real guitar on the track. Part three is a radical break from the first two sections, beginning with the return of the Farfisa, much softer and mournful now, which gradually morphs into a requiem of rising chords, repeated several times with other elements coming in, including Mellotron, slide guitar and a wordless chorus, before resolving (a little abruptly due to time limitations) on a triumphal major chord. Later on, of course, they had to find a way to reproduce the studio construction live, and that's another story altogether. It's easy to see why this track ended up being sequenced directly after the dark and intense Saucerful, being the only somewhat traditional ballad on the entire album, and for a few moments after the opening chord, its gentle rolling quality and major tones are genuinely refreshing. Sadly, the song doesn't hold-up, mostly by being a little more ambitious than the band could handle. The composition isn't, as the working title had it, 'The Most Boring Song I've Ever Heard Bar Two' (I'm thinking Waters coined that one), but the arrangement is so sloppy and stoned, awash, again, in a whole cavern's worth of reverb, Wright doesn't have a handle on the vocals, the band doesn't know where the accents go, and the whole thing gets really cocked up in the mix, which loses any momentum the rhythm section might give. That having been said, I've always liked the composition - good chord change, and nice lyrics and melody. I have a suspicion that if there were a prominent rhythm guitar and Gilmour sang this and the verses were arranged to be more streamlined and greater dynamic overall, building, say, to a nice solo, this song would be well thought of. I might have just suggested a project for myself, having once done an arrangement of Remember A Day that sort of cross-pollenated it with the Beatles' Rain. Of course, since I played all the instruments on it before I could even play several of them at the meager level that I can now, that version is really an area of total musical devastation, an atom bomb of megasonic craportions. Perhaps I'll put it up in the archives at some point, but I first need to dredge it up and digitize it. You have been warned. Sure, the first six tracks on the album offer a staggered portrait of all the possible Floyd's to come, but then Syd shows up to show what's been lost forever. I don't think a more effective 'goodbye' has ever appeared on record, and I have to think that the rest of the band were aware of it as well, by placing it last on the record. Certainly, there's nowhere else it could have gone. Really, what could follow it? Jugband Blues is equal parts haunting and wistful, beginning with Syd's gentle acoustic strumming and vocal, accompanied by slide-whistle. From there it builds into a loose party atmosphere, reprising the march section from Corporal Clegg - creating it, really, since Jugband Blues predates that. Although the few times the band performed this track live, they did so with kazoos, on record Barrett had a Salvation Army band come in and lay down essentially whatever they wanted. From there, the track segues into another Floyd studio freak-out, one that seems so effortless for Barrett and makes the formal structuralism of the title track seem like a month of bedsweats in comparison. Here's a live version that I was surprised to find. Even though the band is miming their performance, it really is a live version, different from the record. But still. 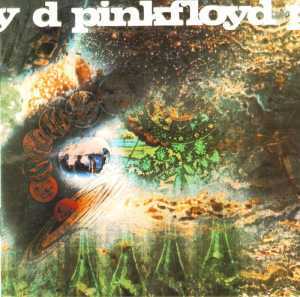 Of all the possible futures that A Saucerful of Secrets represents, it's the unrealized future of this song that gives the album the ultimate air of finality it has, packing twelve massive concept albums' worth of angst into three short, sad minutes.